The work of Dame Cicely Saunders is the customary starting point for any account of the development of modern palliative care. 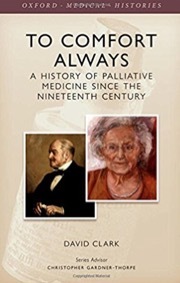 But in this history of modern palliative medicine, medical sociologist Professor David Clark takes us back to the nineteenth century, providing an intriguing account of all the goings on in medical end-of-life care in the 100 to 200 years before the opening of St. Christopher’s Hospice. In the opening chapter, about nineteenth-century doctors and care of the dying, I was introduced to a number of interesting characters, including the German CFH Marx and the Englishman William Munk, both of whom wrote theses about euthanasia – although it was then very much about easeful dying and not the termination of life that the word has come to mean today. The evolution of medical end-of-life care is described against the background of the enormous societal changes that were going on at the same time. There is a chapter on the handful of homes for the terminally ill, scattered across the developed world, usually inspired by religion and charity, and frequently initiated by women. The third quarter of the twentieth century was a period of great change, in Britain and the USA at least, and I was fascinated to read about the changes that were afoot (and fought over in some cases) before Cicely Saunders came center stage. The next chapter is about the lady herself, her early associates and the creation and launch of St. Christopher’s and palliative medicine generally, and provides some wonderful insights as to how the innumerable hurdles were overcome. I liked the bit about Balfour Mount’s ruminations on the name ‘palliative care’ and Robert Twycross’s disapproval; Cicely Saunders was not initially in favor, but changed her tune not long thereafter. Clark’s next chapter is about ‘Defining the clinical realm’ and includes the concept of Total Pain, Robert Twycross’s ‘deconstruction’ of the Brompton cocktail, the development of the syringe driver, and Kathleen Foley’s description of being involved in the World Health Organization Cancer Pain Initiative. Next comes a description of specialty recognition and global development, appropriately prefaced by a photograph of Derek Doyle in his doctoral robes. Josefina Magno and IAHPC (or International Hospice Institute & College (IHIC), as it then was) receive appropriate mention. But as the list of distinguished physicians who followed me in the Chair unfolded next to the list of our achievements, I felt uncomfortable that the name of our Executive Director for the last 18 years, Liliana De Lima, was not there because, without taking anything away from the devoted leadership of the Chairs, she has been the flag-bearer and rock. The last chapter is about the historical record and future challenges of palliative medicine (and they are many), prefaced with a photograph of Eduardo Bruera. I couldn’t put this book down. My only complaint is that there were not more photographs. Isn’t it time someone put together a photographic record of the first 50 years of (modern) palliative care? If you work in palliative care and have any interest in the origin of our ideals, or you want to know our future hurdles, you will enjoy this book. Coming from the New York Zen Center for Contemplative Care, with a foreword by His Holiness the 17th Karmapa (whom I found out to be the head of the Karma Kagyu school, one of the four main schools of Tibetan Buddhism), and with a back cover commendation by His Holiness the Dalai Lama, I wondered whether this book might be outside my comfort zone. I am pleased to report that I was quite wrong about that. It’s all about caring. It occasionally made me think outside my usual square, but that’s a good thing. Of the essays, I particularly liked Diane Meier’s insights into the successes and shortcomings of palliative care; Cicely Saunders’ Watch with Me;Elisabeth Kübler-Ross on unfinished business; and Ira Byock on remembering to breathe. Those essays alone were worth the cost of the book. But there were another twenty-odd pieces, covering a whole range of topics to do with caring. I read about mindfulness and attunement, contemplation and Dharma visions, modes of connection, precepts for ethical dilemmas, meditation to assist us understand and relate to death and dying, occupational stress related to caring, and lots more. There is also a photographic record of a ‘good enough death’. 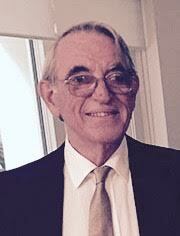 I enjoyed the four physicians’ stories of mystery surrounding deaths they had observed. And in between, a lot of poetry. The slightly alternative or non-medical view of death and dying in this book is very refreshing. I shall not speak for dying patients or their lay carers, but for anybody who works in palliative care, this book is an absolute treat. 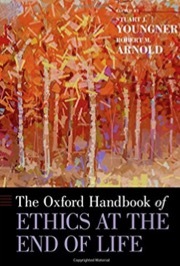 This book comes not that long after Palliative Care and Ethics (Oxford University Press, 2014). 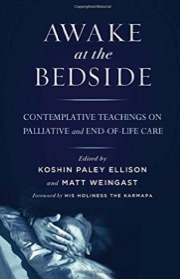 However, the earlier book was very focused on palliative care, and had the advantage that the majority of contributors were medically (or nursing) qualified, which I feel leads to much more meaningful and clinically applicable discussion. The present volume takes a much wider purview of end-of-life issues and includes contributions from bioethicists, lawyers, sociologists, and philosophers, with a much smaller proportion medically qualified. As I have got older, I have become less tolerant of the Professors of Philosophy who pontificate from their ivory towers about clinical matters of which they have zero practical experience; the noise they make is really just a pain. The first section is about clinical and legal issues, and covers an interesting range of topics. I tripped up on the report from Holland about continuous sedation at the end of life, written by an ethicist and a philosopher. There are pages about double effects and other extraneous matters. I don’t have a problem – if a dying patient has intractable suffering, and the only way to relieve suffering is by sedation, use sedation. Yes, you can invoke the principle of double effect if you want. But what is not even mentioned in the article is the use of terminal sedation to hasten the patient’s death, which has been reported by the Dutch themselves. In other words, it is euthanasia in disguise, and has the advantage that it doesn’t have to be reported to authorities. The second section is about theoretical, cultural and psychosocial issues. Eric Cassell on The Nature of Suffering and David Barnard’s On Our Difficulties Speaking to and About the Dying were a pleasure. Section III is about physician-assisted death. The chapter on The Netherlands is written by Gerrit Kimsma, Professor of Metamedicine at Vrije Universiteit; I had never heard of Metamedicine, but a Google search informed me that conventional medicine does not know the cause of 99% of illnesses, but Metamedicine had all the answers, and for a large fee would be of value to complementary practitioners, chiropractors and homeopaths. As previously (Younger and Kimsma, Physician-Assisted Death in Perspective, Cambridge University Press, 2012), he describes the long legal, professional and political struggles that have resulted in a wonderful societal emancipation. But he only tells the fraction of the truth that is convenient. What about the unreported cases? They can tell you how many cases of euthanasia are reported, but have no clue how many go unreported, especially now that euthanasia using opioids does not have to be reported. What about the meteoric rise in the use of palliative sedation? It’s just ‘normal medicine’; not if, as reported by the Dutch, it is being employed to hasten death (‘euthanasia in disguise’). What about euthanasia without explicit request (a thousand patients a year)? Observational studies cannot be used to prove that physicians (who euthanized patients without request) were right or wrong. What about the common failure to obtain the independent second opinion required by law? Not discussed. I remain totally unconvinced that they did a good thing or that they have got it right. Ira Byock’s The Case Against Physician-Assisted Suicide and Euthanasia was a breath of fresh air. The article by Margaret Battin (Distinguished Professor of Philosophy at the University of Utah) is entitled Goodbye, Thomas. After her previous diatribe (Battin, Ending Life, Oxford University Press, 2005), this is a mere six pages. It says her arguments for physician-assisted dying are indisputable, there are no valid arguments against, and that anyone who thinks that way is hung up on the thirteenth century thinking of Thomas Aquinas (1225-1274). The rejection of suicide by Aquinas way back then would not have included the sort of decisions involved in 21st century end-of-life care, and I thought the association somewhat farcical. The last section is about the emergence of palliative care and includes a good review by David Clark and Robert Arnold’s Potential Perils to the Promise of Specialty Palliative Care. Good book. Just don’t believe everything you read about euthanasia in The Netherlands. And be wary of Professors of Philosophy. Dr. Tan Seng Beng is Consultant in Palliative Medicine at the University of Malaya Medical Center in Kuala Lumpur. My first thought when I picked up his book was that it wasn’t very little, but he explains that it grew from a slim aide-memoire. In the Preface he describes his first exposure to palliative care in a palliative care ward that was also called the Heart Lotus Ward, so named because of the conviction that terminally ill patients can bloom beautifully like lotus flowers from the mud of suffering. Mindfulness and meditation were emphasized. I wondered what was coming. But the first chapter, all two pages of it, titled ‘True Love’, sold me. ‘Love is the foundation of palliative care. Love is to bring happiness. We may be very good in relieving suffering of patients, but that is not enough. We need to be good in bringing happiness to patients too.’ His Vietnamese Zen Master, Thich Nhat Hanh, described true love to include being there, recognizing the presence of others, deep listening, and loving speech. The book is divided into six parts. The first is an introduction to palliative care, followed by sections on pain and symptom control, the management of death and dying, psychosocial care and, lastly, self-care. I shall describe his description of the medical management of pain and symptoms as well organized, bullet-pointed and standard. But his description of the management of death and dying, and the psychosocial issues and how we should go about treating them are where Beng comes into his own and are definitely non-standard. In simple and compassionate language, that even I could understand, he explains the problems and how they might be addressed. The last section on self-care includes a chapter detailing 18 separate exercises for mindfulness as well as chapters on happiness and kindness. There are some books that are full of surprises, show you new ways of looking at things, or clearly explain things you never really got your head around, and this is one of them. If you work in palliative care, Beng’s symptom control chapters will not bring anything new. 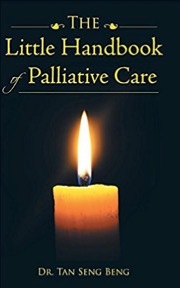 But if you are into the really human side of palliative care, his writings about death and dying, psychosocial care, and self-care will be a breath of warm fresh air. Written by three Californian psychiatrists who work in the sphere of hospice and palliative care, this manual is written for palliative care professionals who may have little or no formal psychiatric training. There are introductory chapters on palliative care and psychiatry in palliative care, followed by a chapter each on depression, anxiety, delirium, dementia, insomnia and substance abuse. The final chapter relates to pediatric patients. The material presented seems well organized, with the liberal use of tables and bullet-point lists. 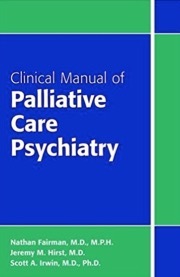 It is designed to be a clinically practical handbook and the coverage is not as comprehensive as Chochinov and Breitbart’s textbook Handbook of Psychiatry in Palliative Medicine (2e; Oxford University Press, 2009). At the end of each chapter is a list of additional resources, which includes a lot of material that is accessible via the Internet. Whilst accepting the limitation of the scope of the topics covered, I was more than a little surprised that there was no mention of the psychological/psychiatric issues involved in physician-assisted dying and euthanasia. In the chapter on depression, it is noted that depression is associated with the desire for hastened death, but there is no mention of how one might go about assessing the psychological/psychiatric aspects of such a request. If the psychiatrists of Oregon found it difficult (six per cent were satisfied they could determine whether mental health issues were pertinent to an individual’s request for hastened death), how are the rest of us (with no formal psychiatric training) meant to do it? This is a useful, clinically practical handbook that will be very helpful to professionals working in palliative care. It is written for the North American market and has an American flavor (and drug names), but the vast majority of the material presented is applicable anywhere. 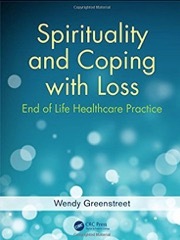 This book describes a UK research study that reflects nurses’ experience of the nature of loss encountered in end-of-life settings, and how spirituality is a resource in coping in these settings. I found the linguistic style used made it very difficult to read. The key finding, according to the back cover, is that nurses’ spiritual development impacts their proficiency in spiritual care.